The interview article “A Somewhat Higher Opinion of God : A conversation with biologist Ken Miller” appeared in the March/April 2004 edition of Books and Culture, a division of Christianity Today [CT]. What follows is the letter to the editor that Dr. Jonathan Sarfati wrote shortly thereafter … a letter they will not publish. Books and Culture did respond to one email several months ago on this issue and the accompanying letter to the editor. However, they have ignored a second and third email, and have not returned two calls. In light of their lack of desire to provide a balanced view, we have chosen to publish the letter that was sent to the editor of Books and Culture regarding the article cited above. However, we are not too surprised, given CT’ recent overt antipathy towards biblical creation. Alas, CT is one of many of so-called “neo-evangelical” organisations that are becoming more and more “neo,” and less and less evangelical. The articles neglected to mention how Miller has long (unequally?) yoked with leading humanists against creationists. For one anti-creationist diatribe, Miller sought the advice of Frederick Edwords, then president of the American Humanist Association, against Bible-believing Christians. A more recent example is teaming up with Eugenie Scott, signatory to Humanist Manifesto 2000, in a Firing Line debate on USA television (PBS, December 1997). Miller can brag all he likes about his debating skills, but not about the accuracy of the fallacies he fires in rapid succession during a typical debate. E.g., he ludicrously used the Ancon sheep as proof of a useful evolutionary change, because its short legs stop it from jumping fences. At the time, it was an obscure enough example to work in the debate. However, as creationists point out, no one denies that living things change over time; the question is whether the direction of change is right to turn microbes into microbiologists, i.e., to increase the genetic information content. The Ancon is the result of achondroplasia, where cartilage in the joints doesn’t develop. I.e., there is an information loss, a change opposite to that required for evolution from goo to you via the zoo. He explained that the nerves could not go behind the eye, because that space is reserved for the choroid, which provides the rich blood supply needed for the very metabolically active retinal pigment epithelium (RPE). This is necessary to regenerate the photoreceptors, and to absorb excess heat.3 Miller’s “superior” design would either leave the photoreceptors unable to regenerate, or would put huge opaque blood vessels in front of the retina. But far worse than the bad science is Miller’s denial of the authority of Scripture. 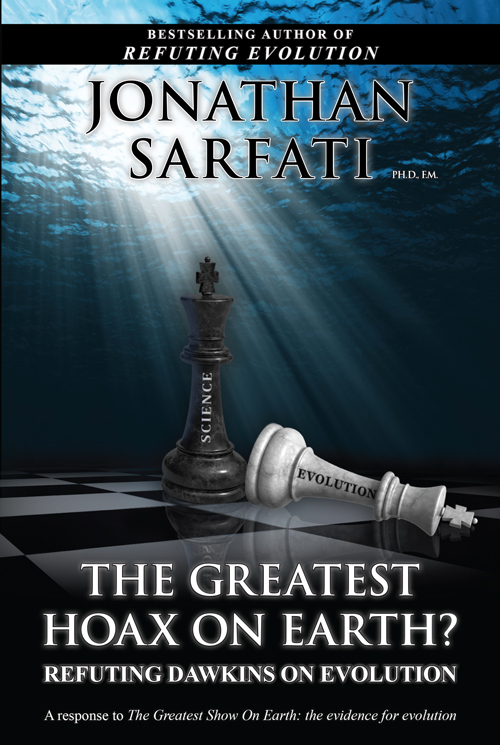 In his book, he relegates Genesis to an outdated myth and caricatures creationists as “extreme literalists”. However, literal Genesis creation was the almost universal view of the Church Fathers and Reformers before the rise of modern “science”.4 Thus any long-age or evolutionary view comes not from Scripture but from making it subservient to man-made “scientific” ideas about the past—ideas that are derived from a materialistic view of earth history. One must also wonder why it’s “a somewhat higher opinion of God” to deny what He said! It’s also hardly a high opinion to claim that He used death, “the last enemy”, as His means of bringing about a creation He called “very good” (1 Cor. 15:26, Gen. 1:31). Rather, all this death and suffering was the result of Adam’s Fall, as great exegetes like Calvin and Wesley realized. (Note: despite Miller’s caricature, when creationists say “no death before Adam”, it refers to nephesh chayyāh (Hebrew נֶפֶשׁ חַיָּה), a phrase never used of plants. Indeed, humans and animals were created vegetarian—Gen. 1:29–30). Finally, what has Miller achieved? Humanist groups and atheistic reviewers on Amazon adore him for his attacks on biblical creation and intelligent design. But they show not the slightest interest in abandoning their atheistic faith. Why should they? Miller’s view of God being somehow behind evolution differs in no practical way from evolution working by itself. And they are not moved by Miller’s fideism or “god of the quantum gaps”. 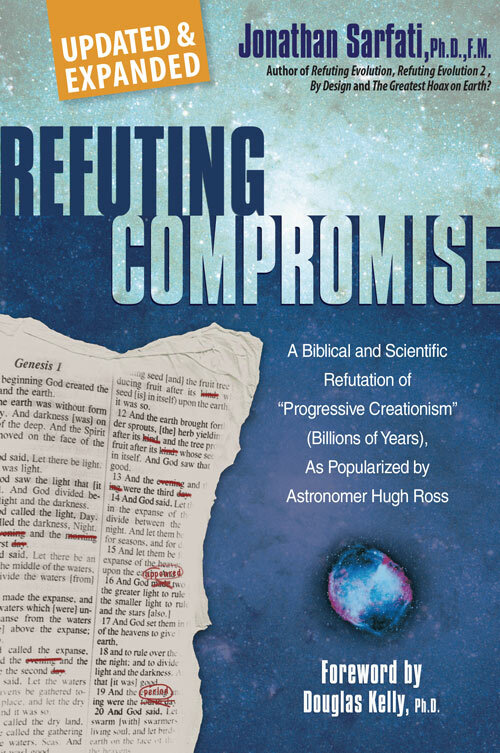 Conversely, [Creation Ministries International] has hundreds of letters on file by former atheists who were challenged by our uncompromising stand on biblical authority. J. Woodmorappe and J. Sarfati, Mutilating Miller, Journal of Creation 15(3):29–35, 2001. Return to text. An eye for creation. An interview with eye-disease researcher Dr. George Marshall, University of Glasgow, Scotland, Creation 18(4):19–21, September–November 1996. Return to text. Ophthalmologist Dr. Peter Gurney explains further in Is our “inverted” retina really “bad design”? Journal of Creation 13(1):37–44, 1999. This also addresses the canard that cephalopods have the “right” wiring. Actually, their eyes are really a compound eye with a single lens, and they don’t see as well as we do. Return to text. David Hall, Holding Fast to Creation, The Covenant Foundation, Oak Ridge, TN, 2001; the section on “biblical interpretation” in British scriptural geologists in the first half of the nineteenth century; Terry Mortenson, The Great Turning Point, Master Books, Green Forest, AR, pp. 40–45, 2004; Fr. Seraphim Rose, Genesis, Creation and Early Man, St. Herman of Alaska Brotherhood, Platina, CA, 2000. Return to text.